Our organization provides numerous outreach services which benefit the lives of many human beings. This requires personal time, effort, and funding so as to continue providing humanitarian service projects. It is only by the kindness and generosity of those of you who assist us that we can continue to offer these important and vital services to humanity. Please know, even the very smallest of contributions will greatly assist our efforts! 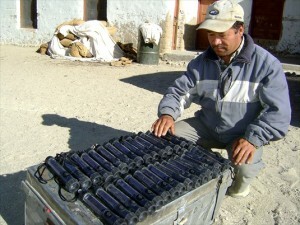 Solar lights arriving in Ladakh, India for the Tibetan Children’s Village. 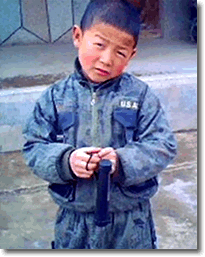 This boy attends primary school 5 kilometers away from his village. On the way to school there is no light. He receives one of the solar flashlights we provided to the organization: Shem Women’s Group. Most people do not realize, in the developing world 2 billion people (1/3 of the global population) still do not have access to electricity; to clean, safe, affordable light. Through our Solar Light Project we provide quality solar powered flashlights to humanitarian organizations and to villages in developing countries without access to electricity for adequate or healthy lighting. These excellent solar lights are a safe, clean, efficient, and environmentally responsible form of illumination. At our cost of only $5.00 per solar flashlight, your contribution of only $20 will provide solar lights for 4 families. A $100 contribution will provide solar lights for 20 families! 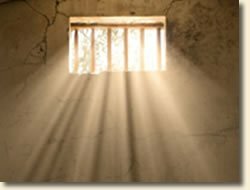 The recidivism (backsliding/relapse) rate for prisoners across the nation is approximately 80%. These rates drop to about 20% when prisoners attend and engage in any type of educational program. The recidivism rate is even lower when prisoners engage in spiritual programs and studies such as the types of teachings and resources we provide to them through our Resource Directory for Prisoners. Additionally, you can assist those in prison by printing out our Resource Directory for Prisoners and mailing copies to prison libraries. In this way, a much larger number of men and women in prison will have access to the excellent services, teachings, and opportunities provided by the organizations listed in our directory. You may easily locate the addresses and phone numbers of correctional institutions (prisons) in your state using the internet. You may also mail copies of our Glossary of Buddhist Terms and the Heart of Dharma Collection of Buddhist Dharma teachings. Most prison libraries are lacking Buddhist oriented teaching materials and resources to provide to those interested in this path. Recidivism rates are lower when prisoners engage in spiritual programs and studies such as the types of teachings and resources we provide. The SourcePoint Practice – Creating greater health and cultivating the true qualities of the heart. You may download and freely distribute The SourcePoint Practice brochures. Provide this wonderful practice to friends, family, clients and patients, fellow students, hospitals, health clinics, schools, meditation centers and so forth. Send the SourcePoint Practice brochure out through your email lists, post it on your blog, publish it on social networking sites or put a link banner on your website. The possibilities are limitless!